A statue of children outside the Roundhouse in Santa Fe. 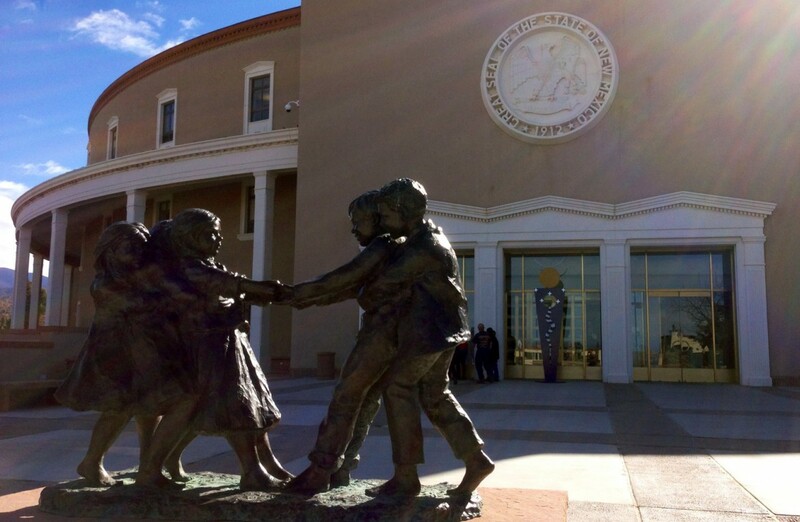 The $6.2 billion budget bill the New Mexico Senate approved Thursday evening doesn’t include funding for culturally-based suicide prevention programs focused on Native American youth. While the Senate-passed budget includes $106,200 for the University of New Mexico’s Native American suicide prevention work, it does not include the $300,000 sought by Rep. James Madalena, D-Jemez Pueblo, and others to fund three culturally-based Native American youth suicide prevention initiatives. As we reported in January, the rate of suicide among Native American youth in the state is nearly four times the national suicide rate among all 15-24 year olds. The budget now heads to the House for approval. The session ends at noon on Thursday. The 2014 session of the New Mexico Legislature ended today with lawmakers once again failing to fund suicide prevention programs tailored to Native American youth.